Information resulting from the group's instrument science activities has been transferred to STScI and is available from their website. Re-links from the previous locations on the ST-ECF web site to the corresponding location on the STScI site have been established and should work for the remainder of the lifetime of the ST-ECF web site. The Hubble Space Telescope (HST) is a joint project between the US National Aeronautics and Space Administration (NASA) and the European Space Agency (ESA). 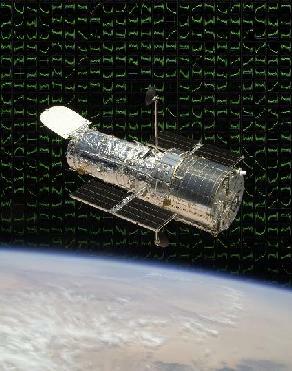 The Space Telescope European Coordinating Facility (ST-ECF), jointly operated by ESA and the European Southern Observatory (ESO) was, until the end of 2010, the European HST science facility, supporting the European astronomy community in exploiting the research opportunities provided by the Hubble Space Telescope.